The United Nations International Labour Organization (ILO) today adopted a new legally binding protocol on forced labour, aiming to advance prevention, protection and compensation measures, as well as to intensify efforts to eliminate contemporary forms of slavery. The 2014 Protocol to ILO Convention 29 on Forced Labour, supported by a Recommendation, was adopted by an overwhelming majority of the government, employer and worker delegates at the International Labour Conference – with 437 votes in favour to 8 against, and 27 abstentions. The main convention was adopted in 1930, and the Protocol brings it into the modern era to address practices such as human trafficking. The accompanying Recommendation provides technical guidance on its implementation. “The Protocol and Recommendation mark a major step forward in the fight against forced labour and represent a firm commitment among governments, employer and worker organizations to eliminate contemporary forms of slavery,” ILO Director-General Guy Ryder said. “Forced labour violates the human rights and dignity of millions of women and men, girls and boys. It contributes to the perpetuation of poverty and stands in the way of the achievement of decent work for all,” he added. There are currently an estimated 21 million forced labour victims worldwide. A recent ILO report estimates that $150 billion in illegal profits are made in the private economy each year through modern forms of slavery. 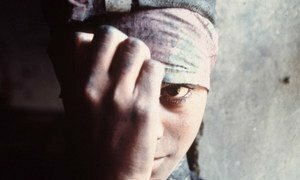 According to ILO, more than half of the victims of forced labour are women and girls, primarily in domestic work and commercial sexual exploitation, while men and boys were primarily in forced economic exploitation in agriculture, construction, and mining. The Protocol strengthens the international legal framework by creating new obligations to prevent forced labour, to protect victims and to provide access to remedy, such as compensation for material and physical harm. It requires governments to take measures to better protect workers, in particular migrant labourers, from fraudulent and abusive recruitment practices and emphasizes the role of employers and workers in the fight against forced labour. “The new instruments will complement and strengthen existing international law, in particular the UN Protocol to prevent, suppress and punish trafficking in persons, especially women and children,” said David Garner, President of the Conference’s Committee on Forced Labour and Australian Government representative. The Committee agreed on the need for a legally binding instrument that establishes a common framework for the 177 ILO member States that have ratified Convention 29 – as well as the 8 countries that have not – to move towards the elimination of forced labour. “By adopting this Protocol, we have sent a clear signal of our commitment to the 21 million victims of forced labour around the world. We have also shown the capacity of the ILO to modernize, and adapt one of its most symbolic conventions to the realities of today,” said the Committee’s Worker Vice-Chair, Yves Veyrier. Independent United Nations human rights experts dealing with the issues of slavery, migrants and trafficking today called on governments to adopt a legally binding international protocol to respond to the scourge of forced labour.